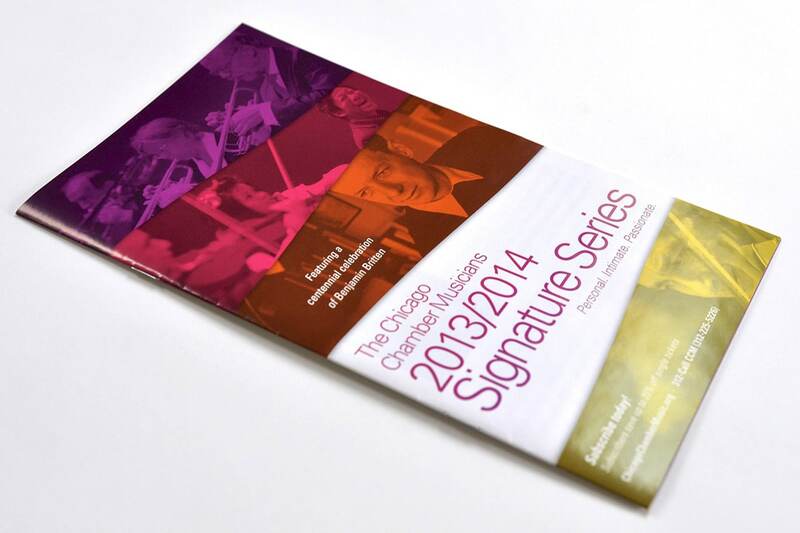 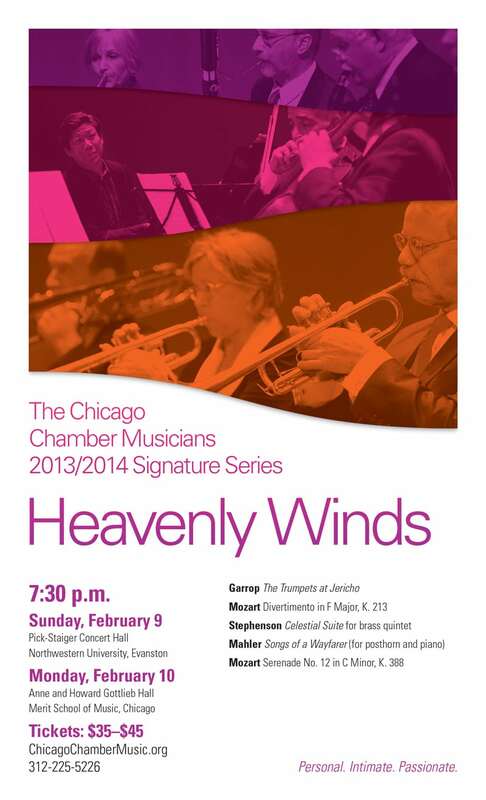 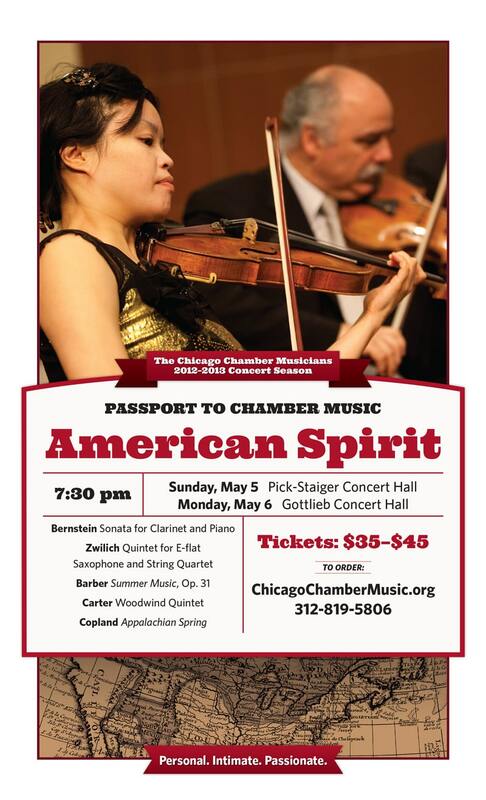 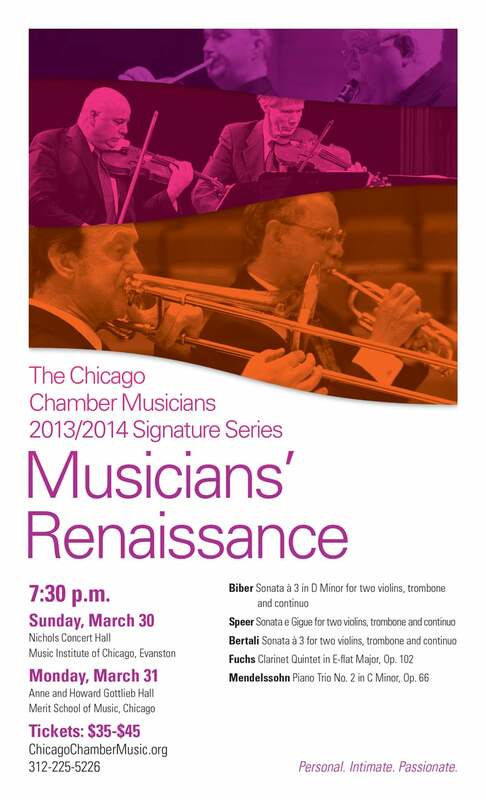 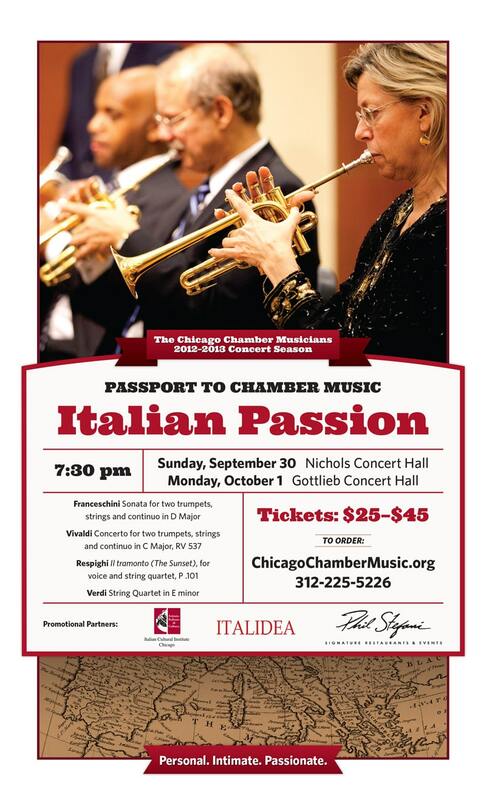 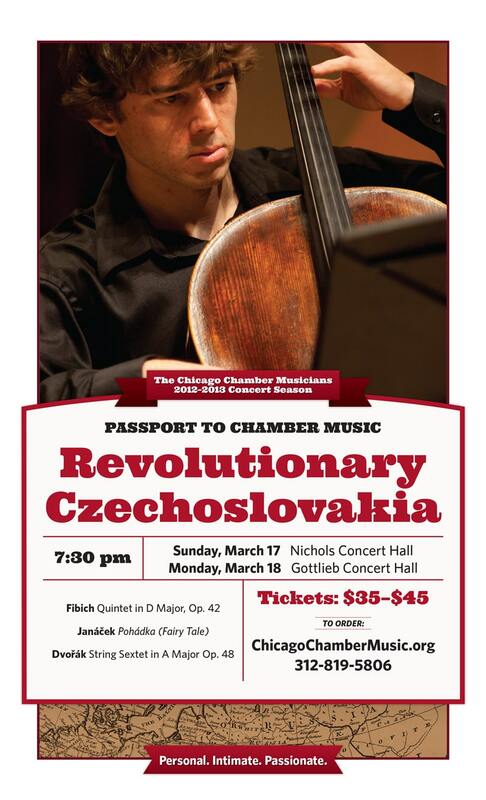 From 2012 through 2014 I designed the season print collateral for the Chicago Chamber Musicians. 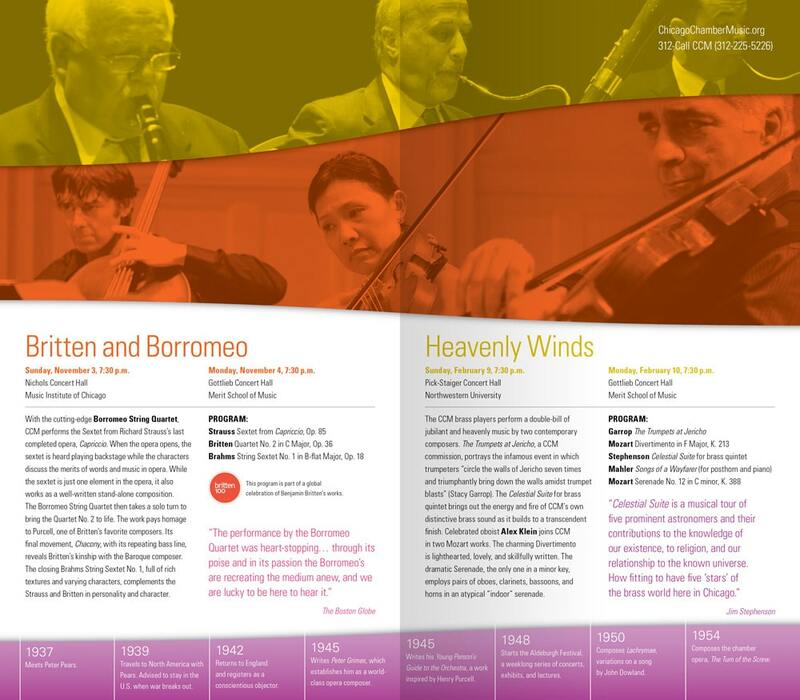 The scope of work included a season brochure to drive subscriptions, posters and flyers for each performance, invitation packages for various fund-raising events, and a variety of print and web advertisements. 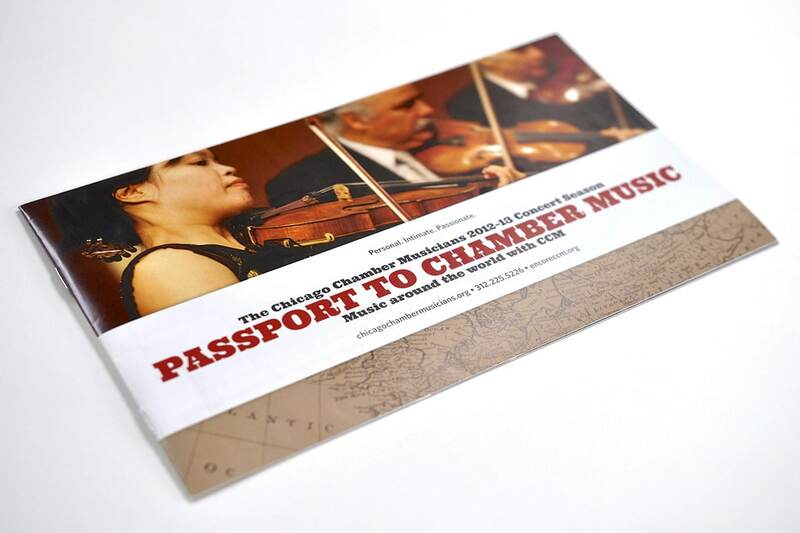 The 2012–2013 season had the theme of “Passport to Chamber Music” and the design employed vintage maps and the flags of the countries represented merged with intimate performance photos. 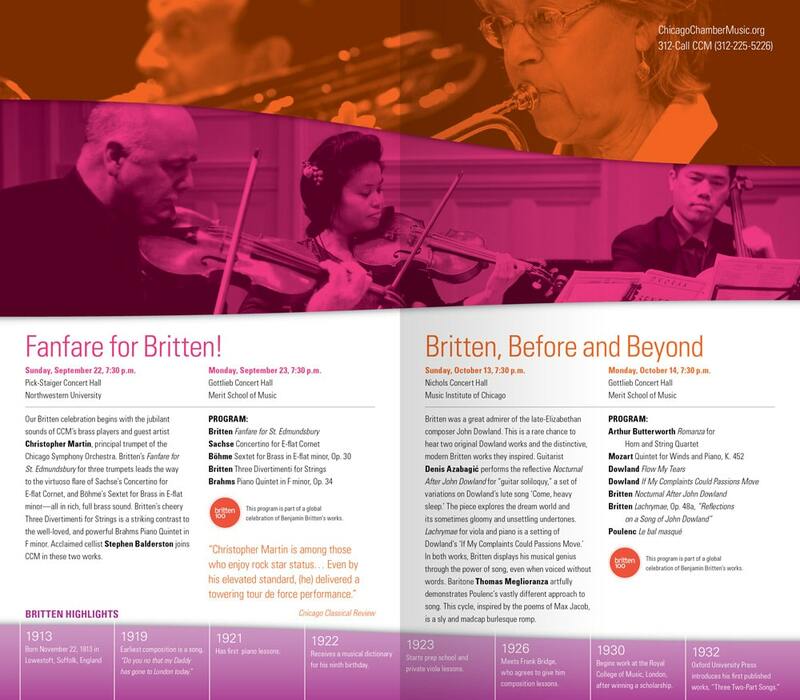 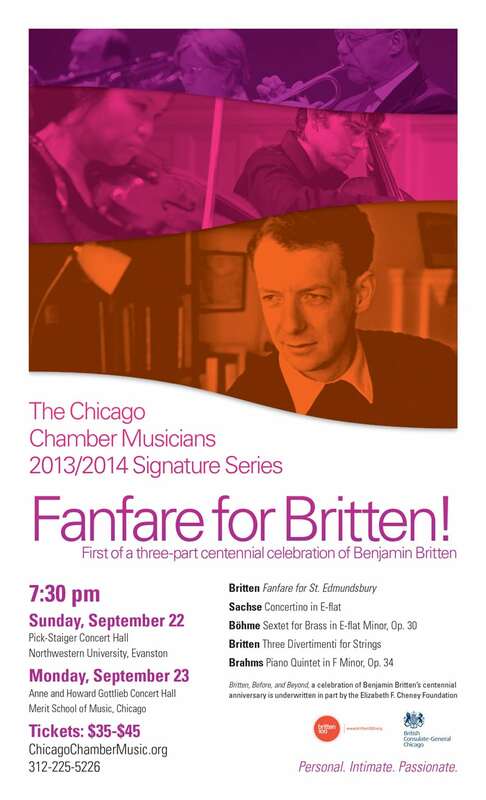 The 2013–2014 season focused on the centennial celebration of composer Benjamin Britten and a design direction focused on breaking from the traditional look of chamber music marketing.